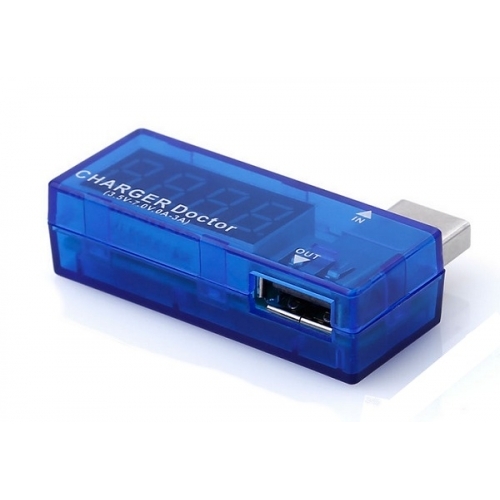 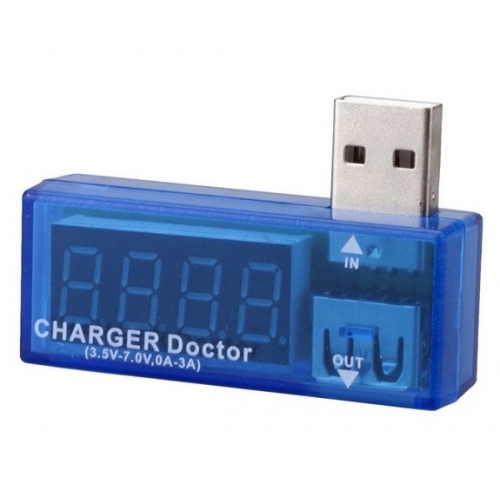 Use the USB Charger Doctor to measure the voltage and current output for any USB port and project. This blue plastic dongle plugs between a USB device, and passes the data lines through. There's a 0.05 ohm resistor in line with the power pin that is used to measure current draw. 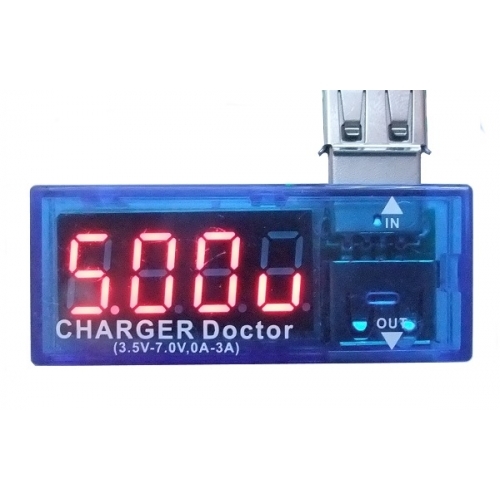 The Doctor's digital display alternately displays the USB Voltage and the current draw.